NO ACCIDENTS!! 1 OWNER!! (CARFAX) 4X4!! HEATED SEATS! HEATED STEERING WHEEL! SUNROOF! AUX & USB!! 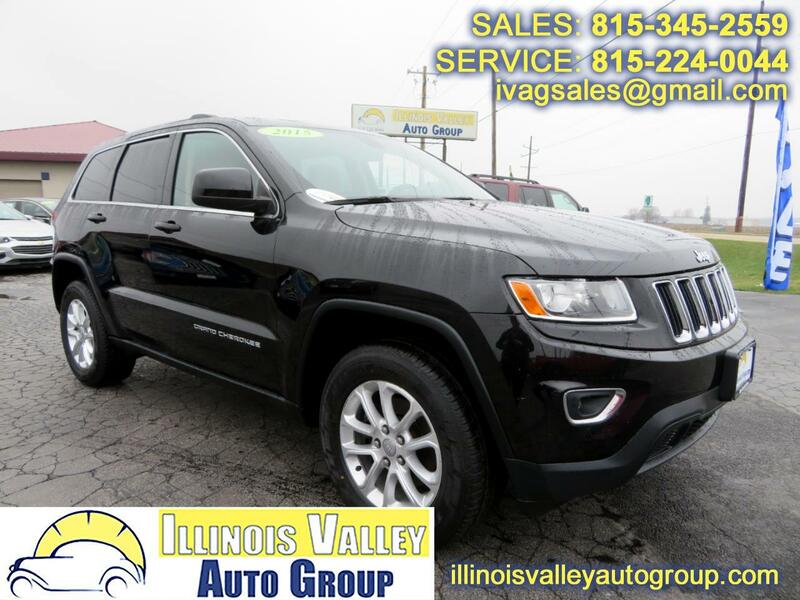 2015 JEEP GRAND CHEROKEE LAREDO!! 3.6L V6 ENGINE!! 4X4!! ~(CARFAX) NO ACCIDENTS!! 1 OWNER! !~ HEATED SEATS!! SUNROOF!! HEATED STEERING WHEEL!! AUX AND USB!! NEW TIRES!! BLUETOOTH!! SPACIOUS INTERIOR!! A MUST SEE!! COME CHECK IT OUT TODAY!! CALL OR TEXT FOR APPOINTMENT TO TEST DRIVE TODAY! at 815-224-0044. Auto Loans, Excellent credit, Less than perfect credit or no credit, on any year, make and model car, truck or SUV. The lender must approve all loans. APPLY ONLINE ON OUR SECURE CREDIT APPLICATION. Llena una Aplicacion de Credito Automotriz en nuestro Website es seguro y gratuito.